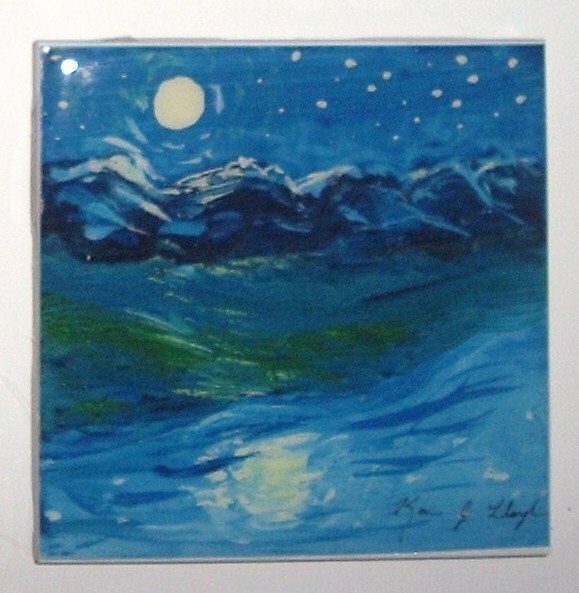 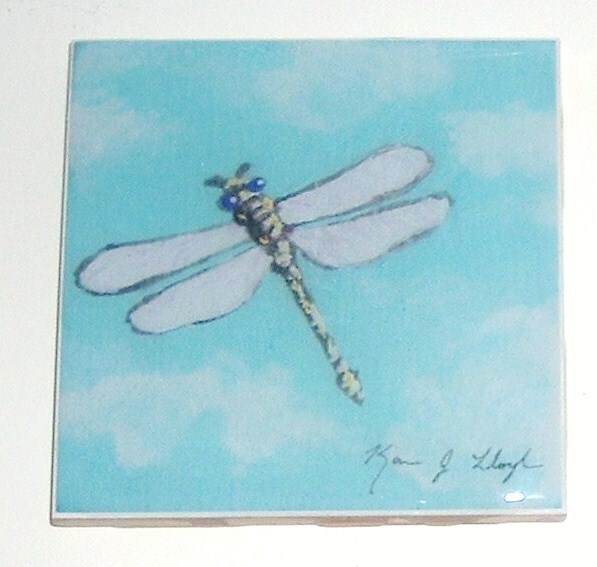 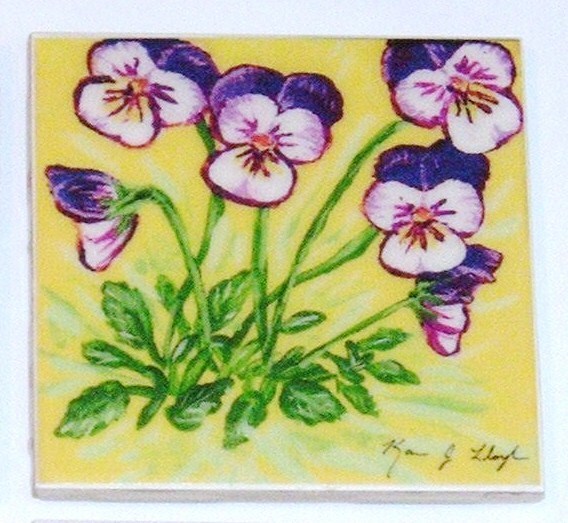 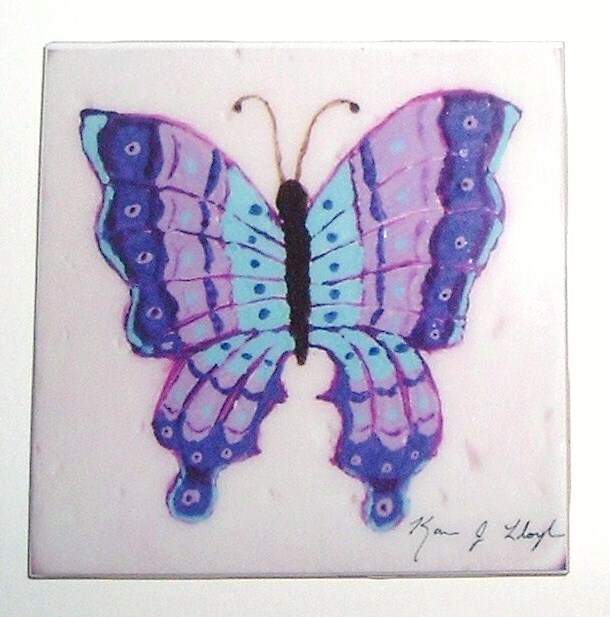 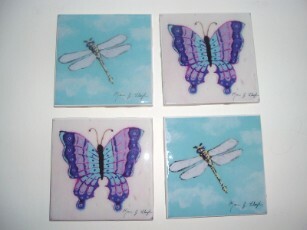 These ceramic tiles are available individually, in sets of 4 or in custom order quantities. 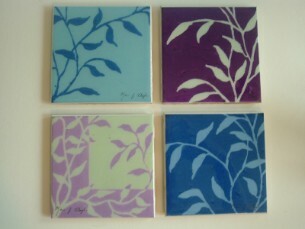 All come with cork feet which will protect table and wall surfaces. 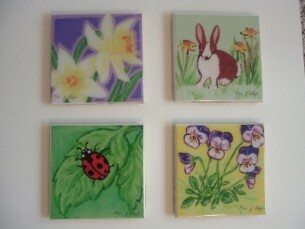 These can be removed if you wish to grout the tile(s) into a kitchen or bathroom wall. 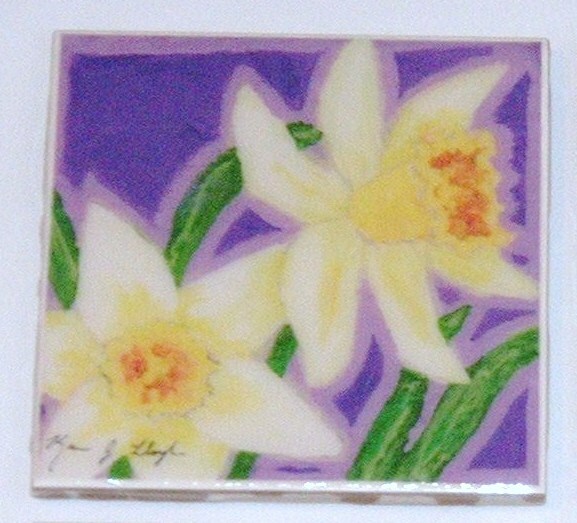 Don't see exactly what you're looking for or wish for a OOAK item? 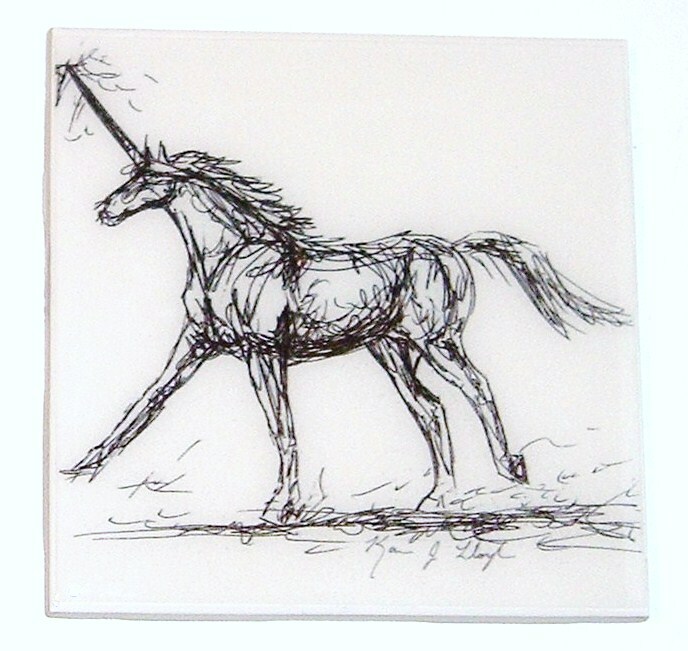 Custom design requests are welcome. 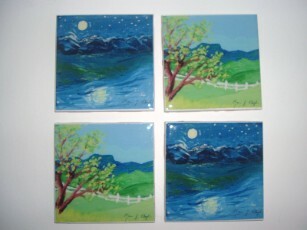 "Whimsy of the Sky Series"